Microsoft Transporter Suite for Lotus Notes is an inbuilt utility provided for the effective migration of the data items in the Lotus Notes email database which are stored in NSF file format to the PST file format of the MS Outlook application. In the following article, we will discuss methods related to Lotus Notes Database migration. 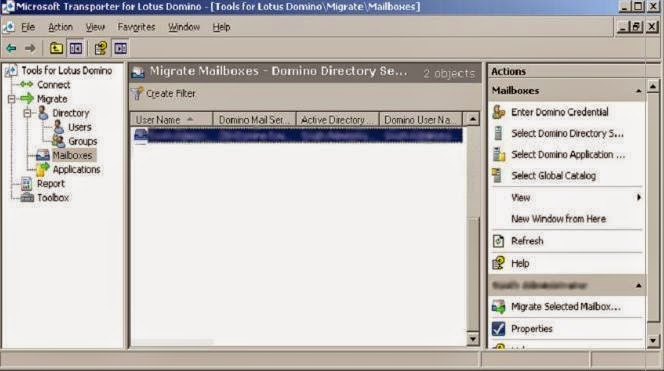 There is an easy approach discussed in this blog that can help you to migrate Lotus Notes database to Outlook. 1. Directory Connector: Perform synchronization between the Windows Active Directory and the Lotus Domino Directory for groups and Domino database information. 2. Group Migration: An Active Directory group for the Domino directory group is created. 3. 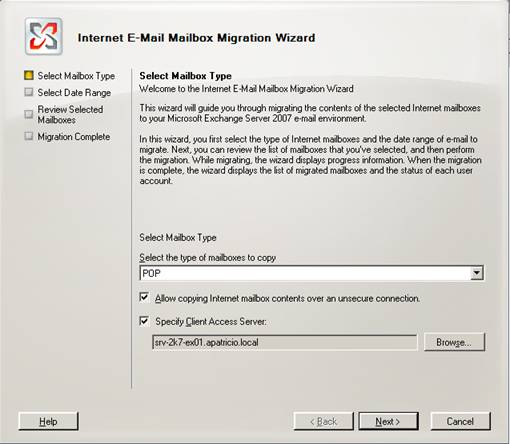 Mailbox Migration: The information of migration to the Exchange Server 2007 from the Domino email database is done. 4. Application Migration: The data from Domino application to Windows Share Point Services and Office Share Point server is migrated. Personal-Address-Book & Archive Migration: Personal-Address-Book’s info and personal-Archive-databases are moved to the mailboxes of MS Exchange Server 2007. 5. Free Connector: The Domino and Microsoft Exchange Server 2007 servers can be queried when meetings are scheduled by the Lotus Notes and Microsoft Outlook users. This utility helps a lot during Lotus Notes Database migration process. 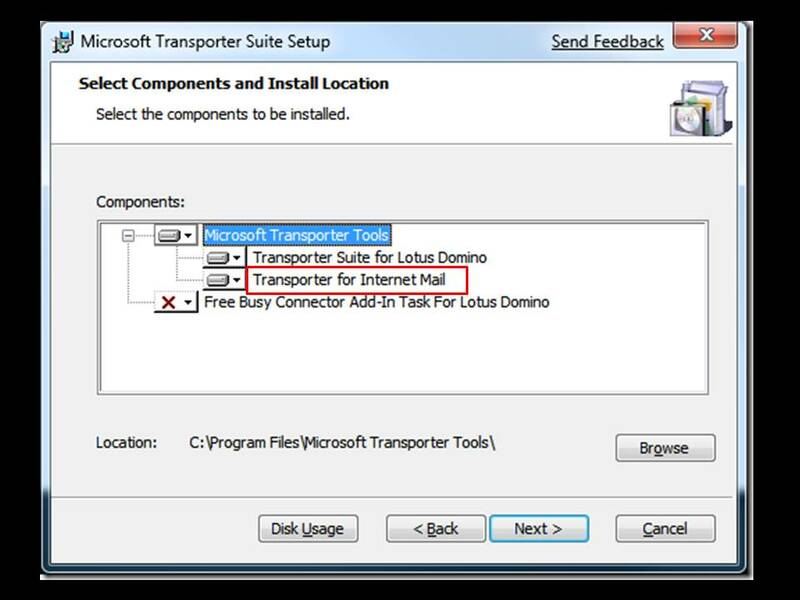 There are few basic requirements that should be there to install MS Transporter Suite for Lotus Notes. 1. The transporter32.msi on a 32-bit system and transporter.msi on a 64-bit system are to be downloaded and installed. 2. Then, click on Next >> “I-Accept-the-Terms-in-the-License-Agreement”. 3. Select the components in the Select Components and Install Location window and browse the location. 4. Select and click on Transporter for Internet Mail and click on Next button. 5. 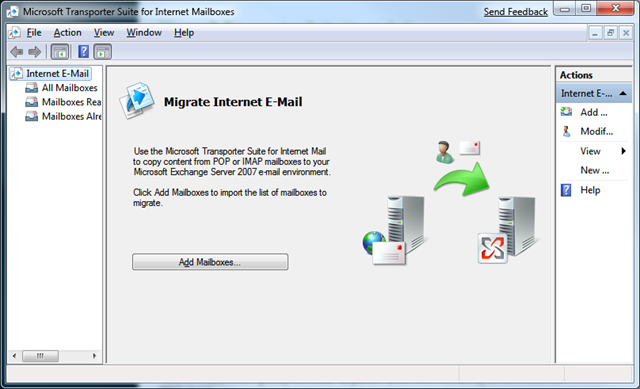 Open Microsoft Transporter Suite for Internet Mailboxes. 7. 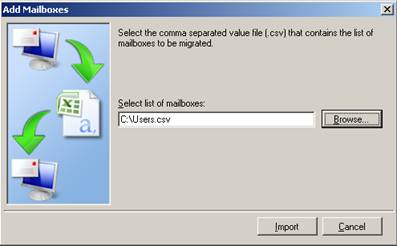 When you click Add Mailboxes, select the CSV file created in Excel and click on Import. 8. On the left side, click on the All Mailboxes option. 9. 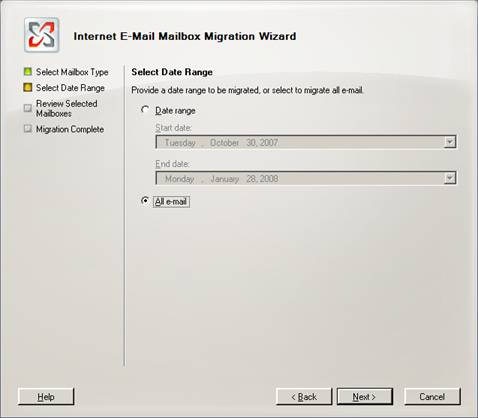 From the right menu click the Migrate Selected Mailbox option. 10. Type POP in the Select Mailbox Type to Copy and specify the Client Access Server and click Next. 11. Choose All e-mail in the Select Date Range and click Next. 12. The summary of the selected mailboxes is shown. If all is fine, then click on Migrate button. 13. The user gets a Migration Complete message and lastly, he has to click the Finish button. 1. The error message “Maximum Request Length Exceeded” is displayed when bulk data is migrated. 2. The encrypted NSF files cannot be migrated to PST format. 3. Lotus Notes should be installed on the system for the export process. 4. The attachments which are with the emails may not be transferred in all the cases. 5. There is a risk of data loss when there is an incomplete migration of data. 6. The Lotus Notes Database migration to Outlook is time-consuming. 7. Lotus Notes email folder migration doesn’t work if there are more than 1500 emails in it. The Transporter Suite comes with its own set of limitations and is a very time-consuming process. Also, a user should have the technical knowledge to perform Lotus Notes Database migration process manually. Instead of it, one can go for professional tools like NSF to PST Converter that can migrate Lotus Notes NSF files to MS Outlook PST file format with ease and saves so much of time too. This blog deals with the inbuilt utility provided by Microsoft i.e. 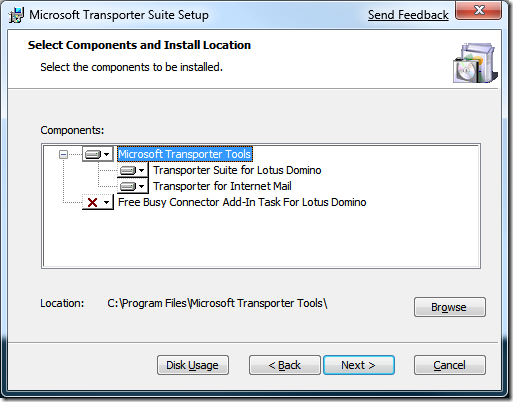 the Transporter Suite and the working for Lotus Notes Database migration to Outlook. With the help of this blog, you can convert the Notes Storage Facility (NSF) file to the Personal Storage Table (PST) file. The migration process and its limitations are highlighted and use of the third-party tool is recommended for the migration.